Renewing your NEXUS card membership is very similar to the original application process. It is recommended to do it approximately 180 days prior the expiration date of your current nexus card. If your NEXUS pass has already expired, there is nothing to worry about. You do not need to start from the beginning. All you have to do is to follow the easy steps in our application form. The good thing about renewing your nexus pass is that you may not be needed to attend an interview. As the government already has your information from the previous application, they would be able to issue your card directly and mail it to your home address. Please, bear in mind that is only for applicants who did not changed their personal information such as names, address, passport, driving license and etc. If you have changed some of the above mentioned information, you must provide us all of it for smooth processing your application. Please note that we cannot guarantee your NEXUS card approval nor other group or organization. Best for frequent travel between the US and Canada. Expedited processing into US and Canada by vehicle. Proof of Citizenship (i.e. 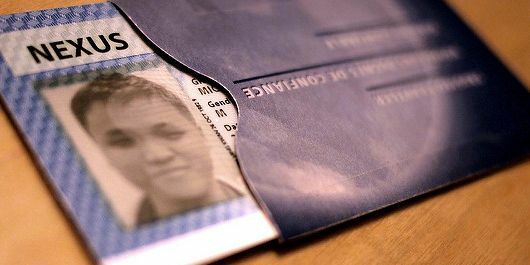 passport, US I-551 Lawful Permanent Resident Card, birth certificate, etc) and any applicable documentation or visas necessary for entry into the US. US and Canadian citizens and lawful permanent residents (LPRs) can apply. Go to our online application form and answer the questions , there are only mandatory fields, no unnecessary info required. It is self-explanatory and it will take less than 5 MIN to finish it. Next step is the payment by the most trusted and secured payment provider - PayPal. After you have submitted the form you will be prompt to checkout. You will receive an automatic email from us which will indicate the time when we received your application. When we have your application form, supporting documentation and payment, we will start processing it. It will take up to 48hrs. Note that if some information is missing or incomplete, we will get in touch with you for further confirmation. In the moment when we successfully submit your document for security checks to the Government, you will be notified via email by our team. You will receive email indicating that we received your application. In 3 - 8 weeks (in busy season it might take longer) if you are Conditionally Approved you will receive second emails with instructions how to schedule your interview. Only if your Application is Conditionally Approved you will receive an email with instructions how to schedule your interview. If you have applied with your family you can attend at the same day. Once your interview with CBP is completed successfully you will receive your NEXUS card via post service in approximately a week.